Posted on February 2, 2013 at 5:54 pm. In my experience, acting school teachers fall into three types. The first is the ‘pleaser’. This kind of teacher just wants to please the student and won’t cause any waves. They don’t like having to confront and they themselves are looking for approval from the student. The problem with this is that, as a teacher, you need to confront students in order to move their ability on. Also, it is dishonest. If a student’s work is not good, they need to know or they will never improve. In fact, this type of acting school teacher is deadly to a student’s progress. A teacher is not there to be a student’s best friend; they are there to get the student to reach their full potential – and that can mean challenging the student. The other type of acting school teacher is the ‘dinosaur’. This is an acting school teacher who has been in an acting school for 100 years and has lost touch with the current acting industry. You come across this in some of the old drama schools. The teacher has worked for the school since 1895 and they don’t want to get rid of them because they have been there so long. They may have some insights of value on the craft but they haven’t kept apace with the current acting industry and its demands. This is also not an ideal situation. 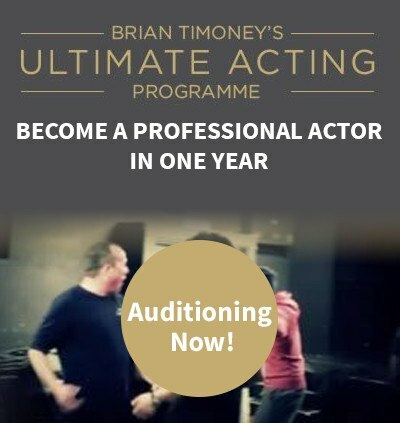 As with any industry, it’s crucial that acting students are up-to-date about how to navigate the industry and what will be demanded of them when they finish training. The last kind of acting school teacher is the ‘truth teller’. I would put myself in this category. This kind of teacher will tell you like it is – warts and all. They do it not to offend but to create pressure whereby the student pushes themselves to their full potential. The teacher also needs to nurture as well as confront. The student should be aware that the teacher has their best interests at heart, to ensure that when the difficult critics arise they are able to deal with them. I guess there could be a fourth kind of acting school teacher and that is the kind that only confronts and tears a student down but doesn’t build them back up. This is counterproductive and won’t allow the student to move on. Plus, this kind of teacher probably has the student’s best interests at heart. As with most things in life, a balance is required. My personal bugbear with some acting school teachers is that they treat it as an ego trip whereby they talk about nothing but themselves. The process of teaching someone is not about the teacher – it is about training the student. Common sense really. A great teacher is able to put their own ego to one side and make it about the student. A teacher is in the business of helping others and passing on their knowledge. The interesting thing about great teachers is that they want to work with the best students and that often can be challenging for the teacher. Despite what you may think, believe me, there is not an abundance of great students. What I mean by “great” is that they are open, eager and willing to put in the hours. It is a two-way street. Anyone who is highly skilled at something wants to work with others who are easy to work with and have the potential to be great also.